Launched at the end of 2003, Dido is the second Spirit 46’ out of a total of 11 built to date. Owned by the same family for 13 years, Dido has plenty of interesting stories to tell whether it be from racing around the Caribbean or cruising in the Channel Islands. Dido’s owner comments, “We have enjoyed sailing Dido under all conditions, whether that be inshore or offshore racing in the UK and Caribbean, cruising in the Channel Islands, or even rowing in Scotland! Following her launch, Dido was kept in Suffolk before her owner took to her to Jersey for family cruising in the Channel Islands. As well as enjoying a relaxing weekend sail, Dido’s owner has also always been keen on a challenge. In 2013, Dido entered the high-endurance Three Peaks Yacht Race from Barmouth, north-west Wales, to Fort William in Scotland. This epic adventure is not for the faint-hearted; each boat has three sailors and two runners, who between them sail up the west coast of Great Britain (nearly 400 nautical miles), stopping to summit the peaks of Snowdon, Scafell Pike and Ben Nevis en route. After fierce competition and intense phases of coastal racing, Dido and her crew won the race, despite having to row the last leg through the narrow Corran crossing to Fort William. 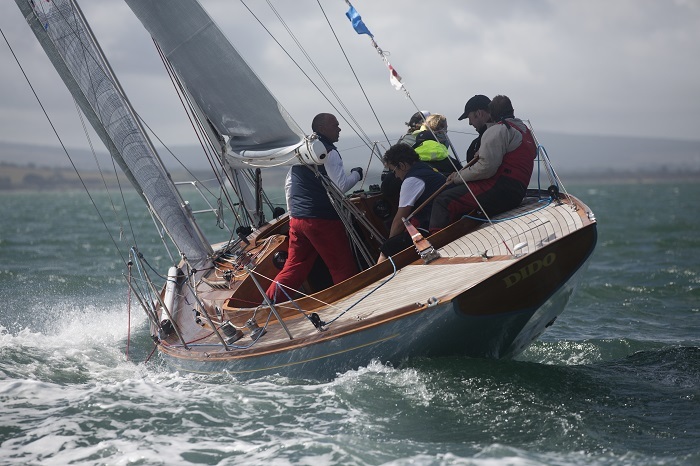 In 2014, Dido was shipped to decidedly warmer climates to take part in the Panerai Antigua Classic Regatta and the Caribbean 600, in which she raced with five people and a total of fourteen sails (which says a lot about her sail wardrobe!). 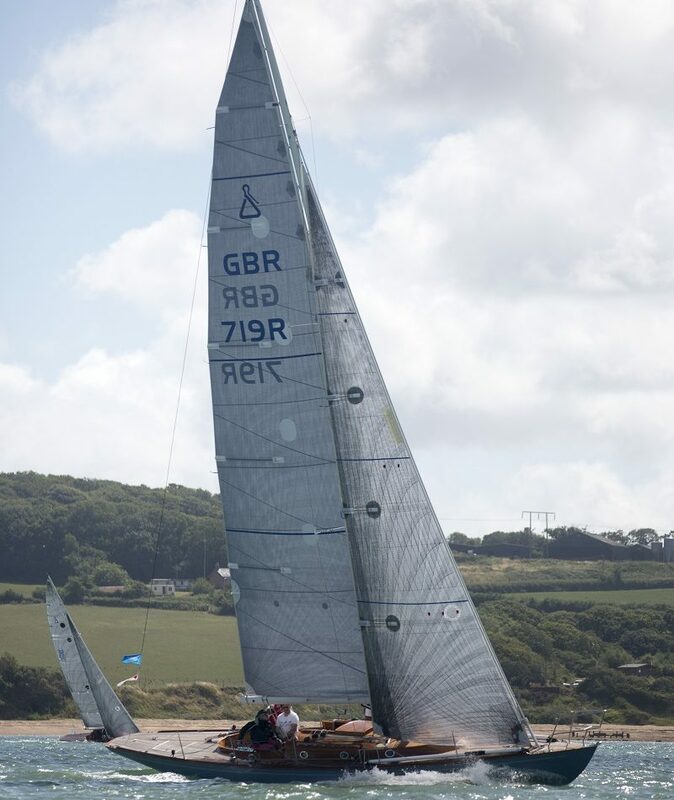 After a taste of the Caribbean, Dido made her way back to the UK for racing, day sailing and weekend cruising. 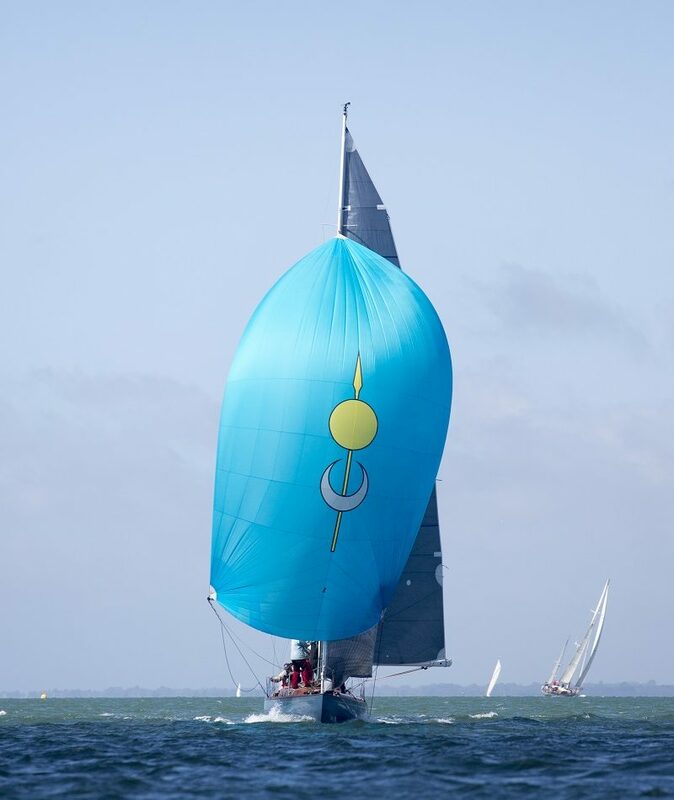 Competing at the Panerai Classic Regatta in Cowes in 2016, she won the Modern Classic Class in the Round the Island race in an impressive 6 hours and 40mins. During the race, Dido reached her top speed (and the fastest speed for a Spirit yacht to date) of 20.5knots; even more remarkable given she would have been in coastal waters, and not benefitting from following waves in open water. Dido’s owner adds, “When racing, she performs best in big winds and you feel perfectly safe; she is very rewarding to sail whether you are cruising or racing and her handling is relatively easy. Dido comes complete with rod rigging, carbon spares, and a fin and bulb keel. Her rig is well set up and finely tuned, and she comes with an extensive sail wardrobe comprising two asymmetric spinnakers, five symmetric spinnakers, cruising main and jib, racing main, code 0, 1 , 2 , 3 , 4, jib top, trysail and storm jib.